The most comforting and encouraging Scripture verses are brought together in this full- color, easy-to-use ebook for everyday life. 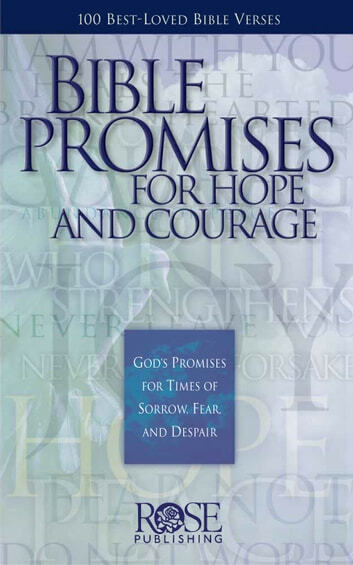 The Bible Promises for Hope and Courage ebook presents 100 of the best-loved Bible verses for those experiencing sorrow, fear, and despair. 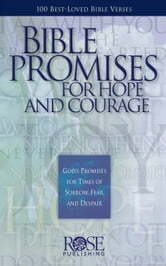 Each promise passage has been chosen to reflect God's care for His people and to instill hope, courage, and comfort. In addition to personal use, Bible Promises is a bestselling resource that's perfect for pastoral care, prayer ministries, lay counseling, personal devotions, outreach, and many other ministry situations. Every pastoral counselor should have a stack of these available. The greatest wisdom and comfort during troubled times is found in God's Word. This easy-to-use resource, Bible Promises for Hope and Courage , brings together 100 of the most comforting and encouraging verses of Scripture to address life's most difficult times. The 14-panel fold-out format presents a wealth of information in an attractive format. Who Is The Bride Of Jesus?